Watch Boris Giltburg perform Rachmaninov's 10 Preludes in the above video and view his upcoming Portland programs on NOV 10 / 11. Grab tickets well in advance since everyone wants a spectacular view of the keyboard! We curated five compelling recordings that capture the zeitgeist of our Summer Festival artists. Hear Tanya Gabrielian, Alexander Shtarkman, Anthony Padilla, The Palatine Trio, and Andrew Brownell during five days of enraptured music-making. Beethoven and his intellectual ideals have long been the subject of great discussion. Perhaps it’s his emotional intelligence manifest through his epitome of cerebral crafting. Or is it his sheer moments of inexplicable joy contrasted with dark brooding that seems to enrapture anyone who listens? Sophiko Simsive plays Schumann/Liszt’s Widmung. Portland Piano International / SOLO presents three public hour-long performances by Rising Star pianist Sophiko Simsive. In addition to other pieces, Sophiko's program includes a new work by Oregon composer Kenji Bunch, entitled La Discothèque, a piece inspired by Ravel’s La Valse. Kenji’s piece was composed through the Portland Piano International / SOLO Commissioning Project and performed in cooperation with its already-established Rising Stars program. The composer will be present at most of the performances. We regret to announce that Yuja Wang has cancelled the May 3 appearance due to illness. Portland is one of five West coast stops from which Ms. Wang has withdrawn. 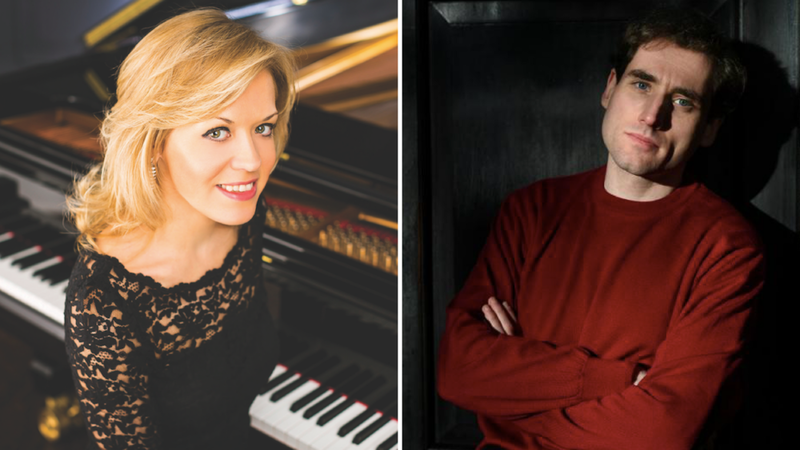 In her place, Kirill Gerstein will step in to perform solo works by Bach, Chopin, Debussy, Adès, and Brahms. Piano Day 2018 was a great success featuring 70+ pianists and raising over $17,000 for Portland Piano International! Many thanks to everyone who performed and attended. It's because of YOU Piano Day is thriving. Portland has joined the worldwide celebration of the 88th day of the year and we are proud to host it. We're excited to feature Hungarian pianist Dénes Várjon on March 24 & 25! His sensational technique, deep musicality, wide range of interest have made him one of the most exciting and highly regarded participants of international musical life. He is a universal musician: excellent soloist, first-class chamber musician, artistic leader of festivals, and highly sought–after piano pedagogue. 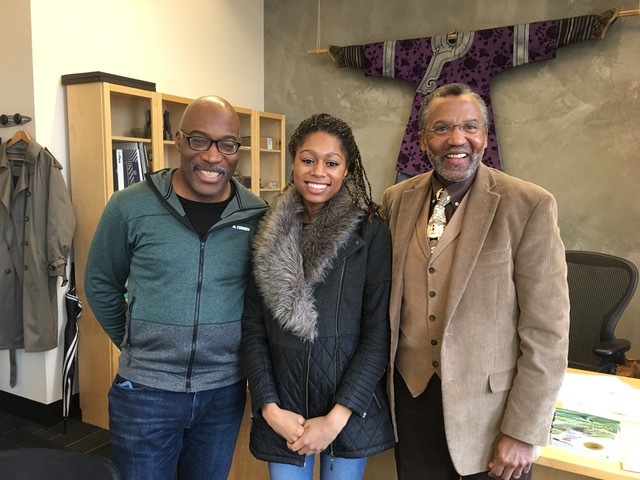 Isata meets with Darrell Grant and PSU’s Dean of the College of the Arts, Leroy Bynum. Our Rising Star Isata Kanneh-Mason recently gave a several performances in Portland and inspired so many children in particular. Katherine Schultz, a brilliant cellist and teacher, attended and recounted this incredible reaction from a child who heard Isata perform. We're proud to announce the second annual Piano Day in Portland where we're celebrating our beloved instrument! On the 88th day of the year, perform several minutes of your favorite repertoire at venues across the city. Sign up now!